Back in 2010, the U.S. Surgeon General report mentioned a possible link between smoking and the risk of type 2 diabetes. However, a new report, released upon the 50th anniversary of the first Surgeon General’s report on January 11, 2014, details new information regarding the effects of smoking that are quite concerning. According to the new report “The Health Consequences of Smoking—50 Years of Progress,” current smokers have a 30% to 40% increased risk of developing type 2 diabetes simply due to the fact that they smoke. The new report is based upon recent research which has conclusively shown that smoking causes a dose-response relationship with the development of diabetes and this reduction lessens in people who quit the habit completely. “The evidence is sufficient to infer that cigarette smoking is a cause of diabetes,” said U.S. Surgeon General, Dr. Boris Lushniak. Included in this new report is research which looked at a meta-analysis of pooled studies that included almost four million participants. None of the subjects had diabetes at the beginning of the studies and they were all controlled for age, gender, body weight, alcohol intake, diet, education, family history, and levels of physical activity. 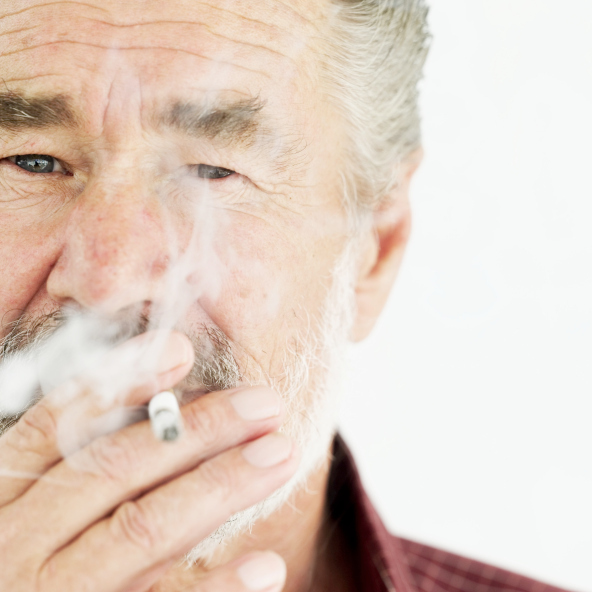 Compared to non-smokers, current smokers had a 37% increased risk of developing type 2 diabetes. In addition, a dose-response was proven when the amount of cigarettes smoked per day was taken into account. People who were former smokers had a 14% increased risk of diabetes, light smokers (< 20) had a 25% increased risk, and heavy smokers (>20) showed a 54% increased risk of developing type 2 diabetes compared with newer smokers. The new report also outlines some possible reasons why smoking can be directly linked to the development of type 2 diabetes. Firstly, smoking can directly affect the way your body stores body fat by changing the secretion of key hormones. Smoking promotes the storage of body fat around the waist and inside the abdomen which produces insulin resistance, an important precursor for the development of diabetes. Secondly, smoking can directly increase the levels of inflammation and free radical damage inside your body which can also aggravate insulin resistance. Smoking may also have direct toxic affects upon the pancreas which is responsible for the secretion of the hormone insulin.The eventual shortage of this hormone causes the diagnosis of type 2 diabetes to be made. In my opinion, every attempt at smoking cessation should be made to help avoid this diagnosis. If you are diabetic or have pre-diabetes, the attempt must occur sooner rather than later. The weight gain typically associated with smoking cessation can be controlled and avoided if other lifestyle measures are considered. I recommend talking to your professional health care provider for the current drug therapies available to help you quit smoking. This may be the single most important lifestyle change that you could ever make. Tucker, M., “Smoking Causes Diabetes; Doctors Should Help Patients Quit,” Medscape web site; http://www.medscape.com/viewarticle/819606?nlid=45823_1885&src=wnl_edit_dail&uac=205413HV#2,last accessed Feb. 4, 2014. “Health Consequences of Smoking—50 Years of Progress,” Surgeon General web site; http://www.surgeongeneral.gov/library/reports/50-years-of-progress/index.html, last accessed Feb.4, 2014.